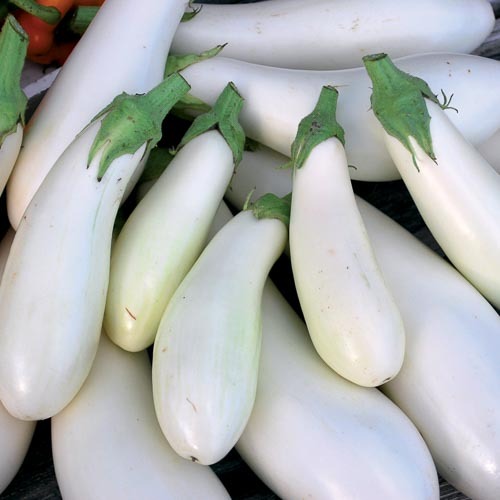 Our favorite white variety for fresh eating in the early summer. Compact plants produce snow-white 6" by 2" diameter fruits with mild flesh. Peeling is not necessary if eaten when small. 70 days from transplant. ±6,500 seeds/oz. Instructions - Sow seeds indoors ¼" deep. Transplant outdoors once danger of frost has passed and soil is warm. Using landscape fabric or black plastic can accelerate growth and productivity in cooler climates.